When I was 15-years-old there was only one thing stood between me and the rank of Eagle Scout. This high distinction in Scouting is marked by the completion of a Leadership Service Project where candidates must conceptualize a project that will benefit their community and then successfully manage a team of other Scouts in order to complete the task. I chose to organize a region-wide food drive to collect non-perishable items and donate them to an organization that would ensure that they would reach individuals and families in need. 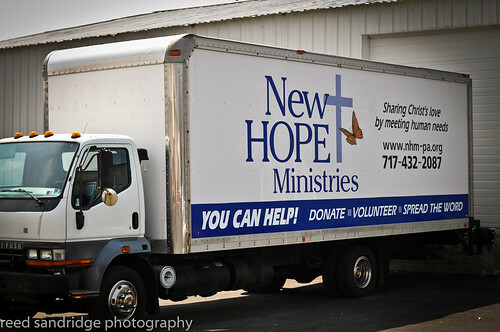 After reviewing potential benefactors to receive the collected food, I chose New Hope Ministries (NHM) – a Christian social service agency that provides assistance to community members in times of need and supports their efforts toward stability. My project resulted in thousands of donated items. In addition to food, NHM needs toiletry items and financial donations to finish their kitchen and add a chair lift to the 2nd floor. Goose bumps wisped over my skin as I walked into their new facility 22 years later. I was in Mechanicsburg, Pennsylvania helping my father recover from knee surgery and I took a few hours off to go and help NHM out. 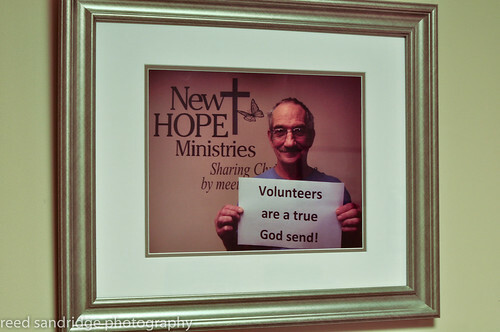 I was scheduled to be folding letters and stuffing envelopes for an appreciation dinner the organization will hold in June for all the volunteers who have helped NHM achieve their goals throughout the year. Every single person I had contact with there was delightful. Kindness flowed freely from every staff member with whom I interacted – Joanne, Molly and Sue – as well as my two follow envelope-stuffers – Brenda and Silvia. The work might sound boring, but the three of us had a lot of fun. After two hours of folding and stuffing and successfully avoiding paper cuts, Sue Fornicola, the program manager, kindly offered the three of us a tour of their new facility. It hardly resembles the building I had visited as a teenager. I think the most impressive areas were the food pantry and the food warehouse. It is a very professional operation. I like this photo. It was hanging in the room where we were stuffing envelopes. But what I discovered through my time at NHM is that their real gift to the individuals who walk through their doors is something far more valuable than bags of groceries or assistance paying rent. They give people the love and support that they need to pull themselves up. They give them hope. Thanks for those of you who have reached out to become Kindness Investors! The next few weeks are certain to be exciting! 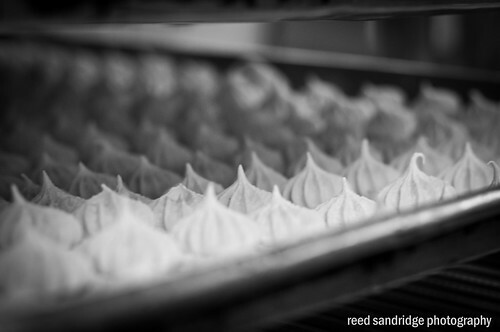 As you know, I dedicate every Monday’s blog post to my weekly volunteer experiences. I recently stumbled upon an interesting organization called the Center for Nonprofit Success (CFNPS) whose mission is to provide the training, knowledge and resources to help nonprofit organizations succeed. I thought this would be an excellent group to help out. I showed up at 7:30am as requested and searched for someone from CFNPS. I was surprised not to find anyone. There was one woman who seemed to be managing everything but she told me that she didn’t work for CFNPS and in fact was a volunteer herself. 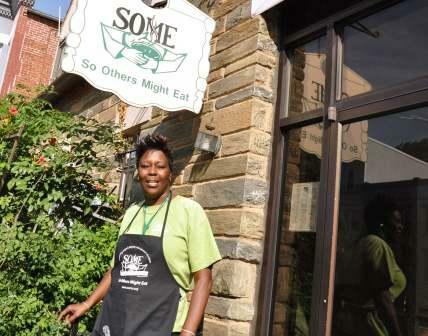 “I’ve volunteered one other time with them,” she told me. 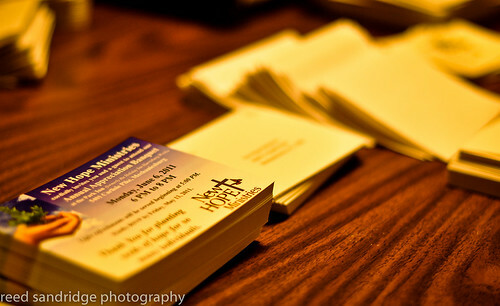 “So who is from CFNPS,” I asked a few of the other volunteers. Nobody seemed to know based on the silence and shoulder shrugs. As it turns out there was nobody there from the organization. They rely completely on volunteers. Part of me loves this model, the other part realizes that there were some downfalls as a result. None of us really knew anything about the organization and were unable to answer questions from the attendees. You will leave this session with a full understanding of how and why a strategic alliance can benefit your organization, and the best ways to set one up. The four presenters spoke almost exclusively about fundraising. After the second speaker, a few of the attendees began to ask me if they were at the right session. I assured them they were, however, I too noticed that the presentations didn’t seem to address the topics above and certainly didn’t give someone a “full understanding of how and why a strategic alliance can benefit your organization, and the best ways to set one up.” One attendee was really bothered and complained that he had taken time out of his busy schedule to attend, not to mention had paid $100 to participate. “This is a waste of time,” he said as he packed up his items and just left. All in all it was an interesting experience. I actually got something out of the presentations since I am involved in fundraising in my profession, however, it was clear that many of the attendees found themselves utterly confused with the incongruence between the description and presentations. CFNPS holds seminars in the following cities: Boston, Chicago, Indianapolis, Minneapolis, New York, San Francisco, Seattleand Washington, DC. Click here for a calendar of upcoming events. 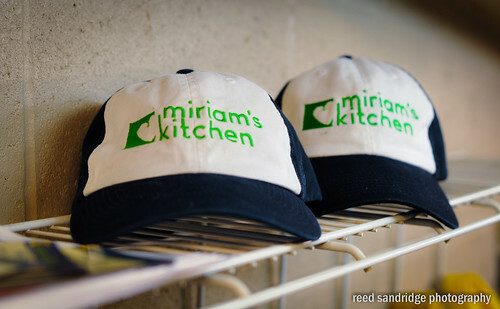 Next Monday I will be sharing with you my experience volunteering at Miriam’s Kitchen! Stay tuned. Before I get to this week’s post, I want to let you know about a great opportunity for those of you in the DC area to join me on a day of service. 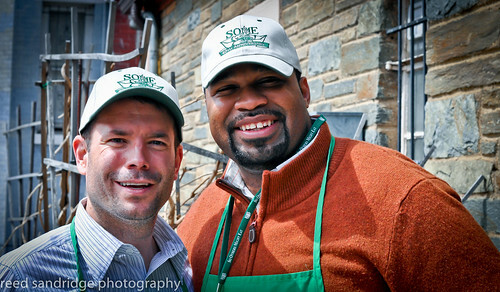 Every year Greater DC Cares holds Servathon, an amazing event where more than 8,000 people come together to complete a variety of service projects. This year the event is Saturday, April 16th. Trust me, after you submit your taxes on the 15th, you will be ready to do some good! I am leading a team and encourage you to sign up to join me. Click here, sign up and choose to join a team. Then when prompted with the list of available teams, scroll down to the bottom and you should find team Year of Giving! We’ll do a half-day of volunteering and then meet up with all the other service teams for a happy hour (or two)! You will notice that this blog post shows Week 5 and 6 service days…that’s because I did two days of volunteering with this organization. Yachad is a DC organization whose mission it is to repair and rebuild lower-income neighborhoods by engaging construction and real estate professionals and hundreds of volunteers to repair housing, renovate storefronts, and create safer community spaces. What I like about the work that Yachad does is that the volunteers work alongside the community members they are helping. It’s a very small group and they do some pretty amazing work on a very modest budget. 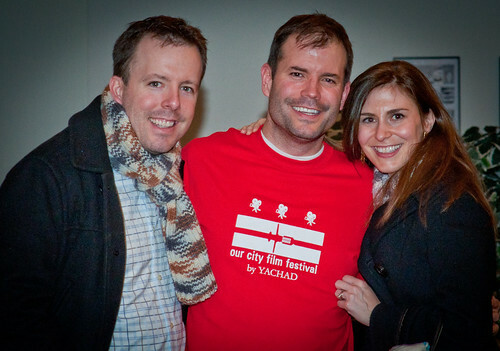 In order to support their work, they host a film festival called Our City Film Festival. Showcasing films that focus on our nation’s capital, the two-day event is a must see for DC residents and film enthusiasts. Saturday evening things kicked off with a launch party followed by a day of films on Sunday. 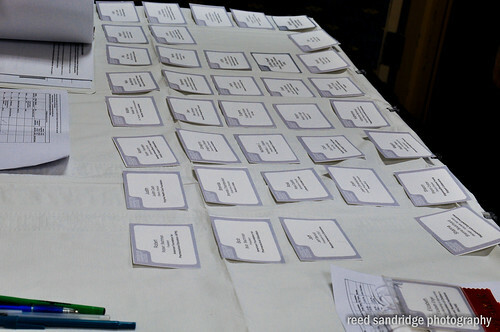 I volunteered both Saturday evening and all day on Sunday. 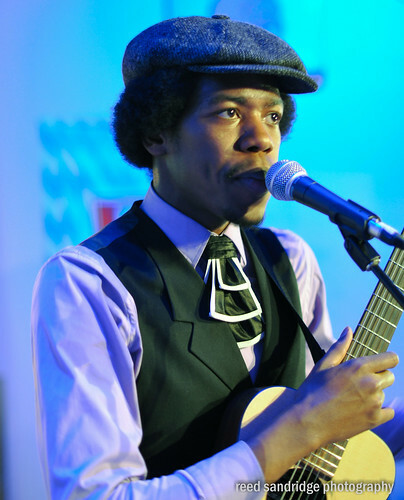 Christylez Bacon performing at the kick-off party. Saturday was awesome. The kick-off was hosted at RFD, a fixture in the Gallery Place neighborhood that features hundreds of beers. The highlight of the evening was a performance by Grammy nominated recording artist Christylez Bacon, a progressive hip-hop artist who stunned audiences with his truly unique performance. Keep an eye out for him and make it a point to see him if you can. My job there was to basically do anything that Film Festival Director Kendra Rubinfeld told me to do. Mostly I checked people’s tickets and took photographs of the evening’s festivities. It was a little embarrassing when Kendra corrected me on the pronunciation of the word Yachad. It’s pronounced “YAH hahd”, not “YAH shod” as I was walking around saying. Thank goodness she corrected me before I went around butchering the name even more! Then the next day the event moved literally next door to the Goethe-Institut. There was fantastic line up of films and everyone that I met raved about the films and the event in general. Kendra did an amazing job. 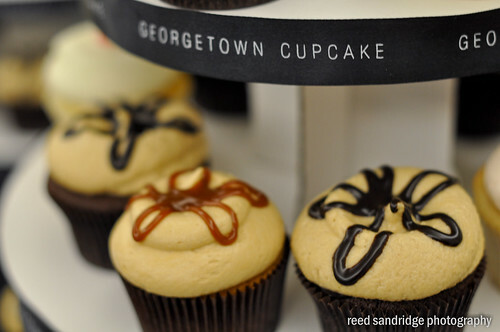 The evening wrapped up with the premier showing of TLC’s reality show DC Cupcakes. 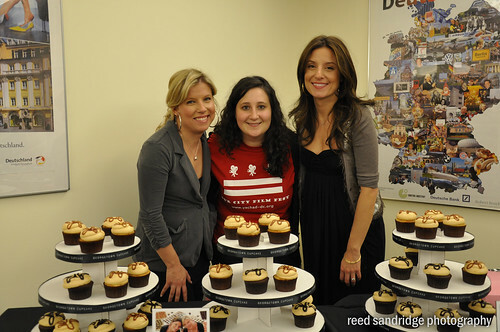 After the screening, the stars of the show – Sophie and Katherine – handed out some of their delicious cupcake creations at a champagne reception. All in all this was a very fun two days of volunteering. I was so impressed with this small but mighty nonprofit. So many people think about helping rebuild communities when natural disasters strike like Katrina and the earthquake in Haiti, but Yachad president Roxanne Littner reminded me, “We have our own New Orleans right here!” She’s right too. 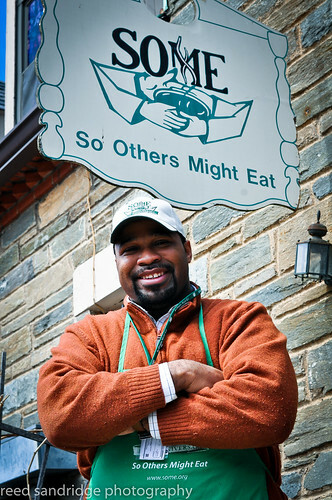 There are plenty of communities in the DC area that desperately need support. I am going to work on a future Yachad construction project. If you too want to help them, click here to find out more information or drop me a note and I will let you know when I will be volunteering again with them. 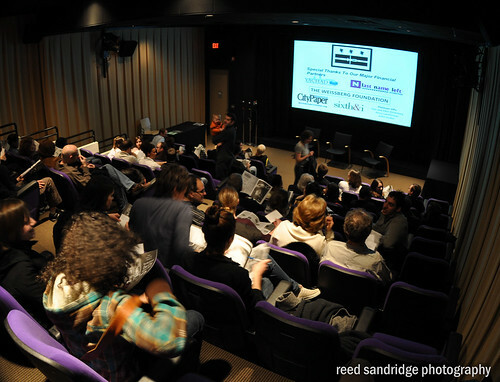 If you would like to see more photos from the film festival, click here.